The big PTC Networks are growing right now. 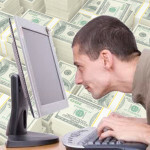 With the uncertainty in the economy, there are many people looking for an option to gain some extra income. There are simply not enough jobs available, so the best way to go is to try something. The PTC Networks are still a dangerous environment however, you see around endless promises of quick money, the solution to all the problems in your life, the fulfillment of all your dreams. Nothing is ever that simple. You can do build a future using the PTC Networks, you can do get an extra income, the money is there. It will take time and effort, it will not happen from one day to another. 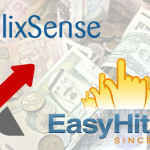 Lets say that you join ClixSense today, and that somehow you get 1,000 direct referrals in a week. That still doesn’t solve the problem, because many of those referrals will go inactive almost as soon as they join. But still, you will be in a much better situation if you join ClixSense now than if you join it at the end of the year. The same goes for NeoBux. Because you will spend months trying to find something that actually works and pays, and after you get tired you may DO join the big PTC Networks, only you will have to start from cero instead of having a couple of months in advance. One last commentary: you will get referrals, but from those referrals, it will take time before you find one that is very active and builds a larger downline for you, the way I do for my uplines. You will never get to this referrals if you don’t join or if you don’t try it. Again, the PTC Networks are growing right now, you will not regret that you join now and build something starting today. I have published a lot about this one, it is one where you can make an extra income even with no referrals. It is even a good place to put some money so that it doesn’t lose value as it would if it were sitting in a bank, but it doesn’t work without a strategy. NeoBux is full of opportunities, Points, Coins, Balance, Rented Referrals. I seriously need to finish what I am preparing for this. Still, some of the best strategies and the tool I am working on will just be for my direct referrals. Another system available since 2009 and still going. Also, if you want to promote any of these PTC Networks, there are the Traffic Exchanges, that are also growing. So there is always new people there trying to find a good system to join. And finally, I still don’t trust this site to put money on it with the intention of get it back, but it is still active and I have gotten referrals in ClixSense recently so, I will add it for the Traffic Exchange on it.